Caitlyn Jenner made her public debut yesterday, and she has the full support of most of the Kardashian-Jenner clan. Caitlyn Jenner made her public debut yesterday, and she has the full support of Kardashian-Jenner clan -- most of them at least. 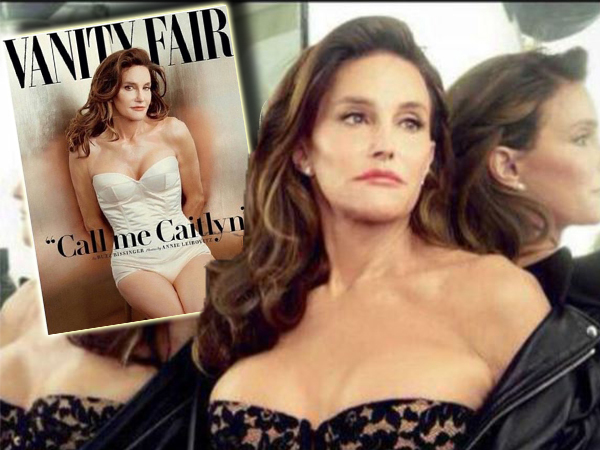 The 65-year-old, formerly known as Bruce, who unveiled her identity on the cover of Vanity Fair, has been widely praised by his children and step-children alike. The reality star family took to their various social media accounts to comment on the much-talked about cover. "How beautiful!" soon-to-be mother of two Kim posted on Instagram. "Be happy, be proud, live life YOUR way!" "Freedon! Stunning!" eldest Kourtney wrote, following it up with a sultry photo of Caitlyn in a Porsche. The family's youngest, Kylie (17) also posted the cover on Instagram, captioning it "My angel on earth"
Like her sisters, Khloe says she couldn't be prouder. Caitlyn's daughter-in-law, Leah Jenner (who's married to Caitlyn's son Brody) was also quick to share her love for "courageous" Cait. Caitlyn is set to make her public debut on July 15 when she accepts the Arthur Ashe Courage Award at ESPN’s ESPYs in Los Angeles. All ten of her Kardashian and Jenner children will be by her side according to the outlet.